James Dyson invented the world’s first cyclonic vacuum cleaner just over 20 years ago. Now, what started with one man and one idea has grown into a global technology company with over 1700 engineers worldwide. Just some of their inventions include revolutionary hand drying technology, bladeless fans and a digital motor that spins as fast as 110,000 rpm. But what's coming next from Dyson? Not many know the answer to this question, and for good reason: all Dyson technology is developed in their top-secret Research, Design and Development (RDD) facility. Every idea that's generated is recorded and kept under lock and key – and they continue to be protected while they're sketched, designed, prototyped, tested and finally manufactured. 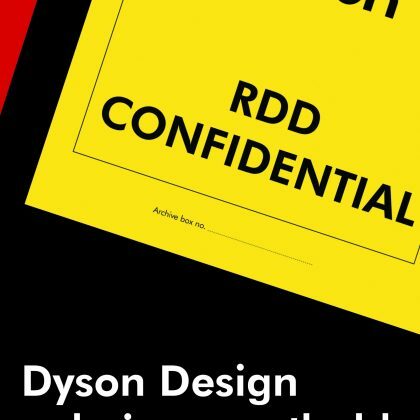 From the 29th March everyone will have the opportunity to step inside Dyson's RDD department. Design Museum Gent will reveal what happens behind closed doors.